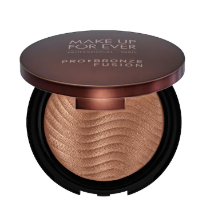 Until recently, I was a hard-core bronzer fanatic, it was my hero product in my beauty routine since high school. I tried every version under the sun (pun intended) and loved glowing all year-long. Then, one day I decided to get acquainted with a cream blush just to try it, I said to myself. Color me shocked to find that I liked the flushed look I was exuding. Think, “I just ran a half marathon, but still look great” vibes. I was torn: do I abandon my one true “product love” since high school? Was I a total beauty hypocrite? Are you allowed to love both blush AND bronzer?! So I tapped into a few makeup artists-turned-friends to see if we could put this unresolved beauty product rivalry to rest. “Being that some skin tones are as warm as the bronzer, if the bronzer has tiny shimmers, it gives a glow to the skin instead of warming the skin. That plus blush is the perfect combo for a radiant look,” she adds. Duly noted for next time when I’m feeling wild and spicy. Plus, it means I honestly don’t have to choose between them both. But, we’re dying to know where your allegiances lie. Blush, bronzer or both, tell us in the comments section below! You may recognize these two beautiful ladies from this post we did with them! Corinna and Theresa Williams are the Founders of Celsious, the coolest way to do your laundry. But, beyond that, they are the sweetest humans and we couldn’t resist bringing them back to the studio for a morning of fun!